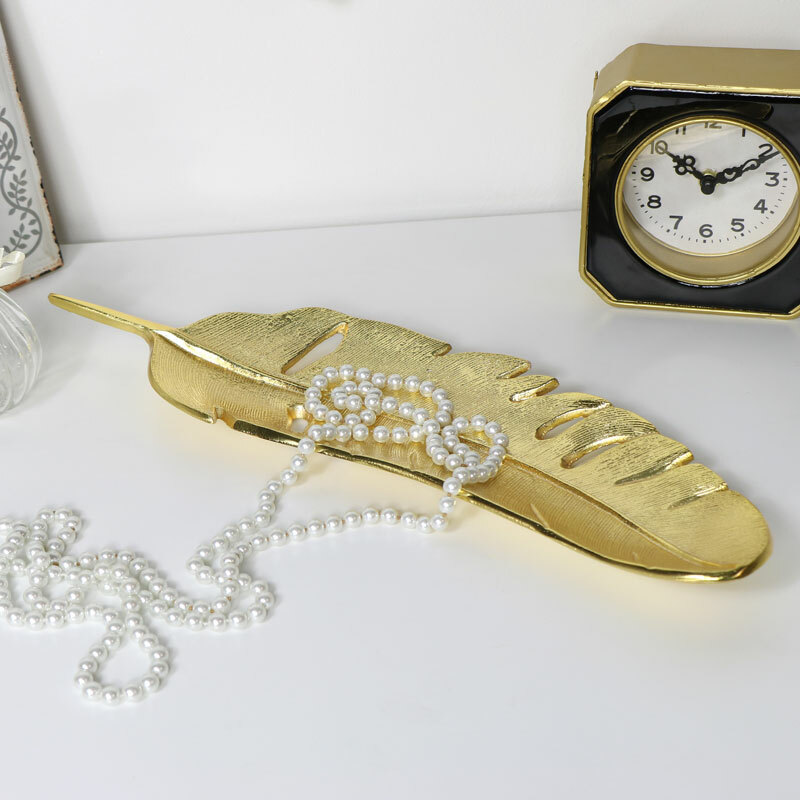 This Large gold feather trinket dish is a stylish home decor piece and handy for holding keys, jewellery and spare change. Metal design in gold for a vintage luxe feel. Ideal for those who love luxurious inspired decor. Display this pretty feather trinket tray on the sideboard or dressing table, ideal for holding those little trinkets & treasures, spare change and keys. Beautiful feather detailing makes this an attractive gift idea, perfect for Mother's Day. 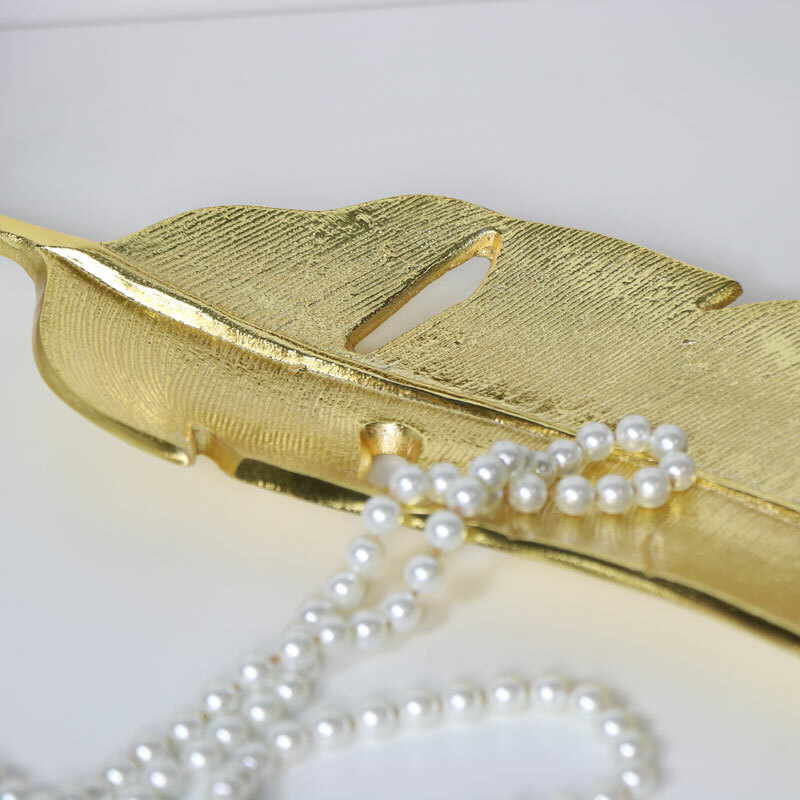 This Large gold feather trinket dish is a stylish home decor piece and handy for holding keys, jewellery and spare change. Metal design in gold for a vintage luxe feel. Ideal for those who love luxurious inspired decor. Display this pretty feather trinket tray on the sideboard or dressing table, ideal for holding those little trinkets & treasures, spare change and keys. Beautiful feather detailing makes this an attractive gift idea, perfect for Mother's Day.